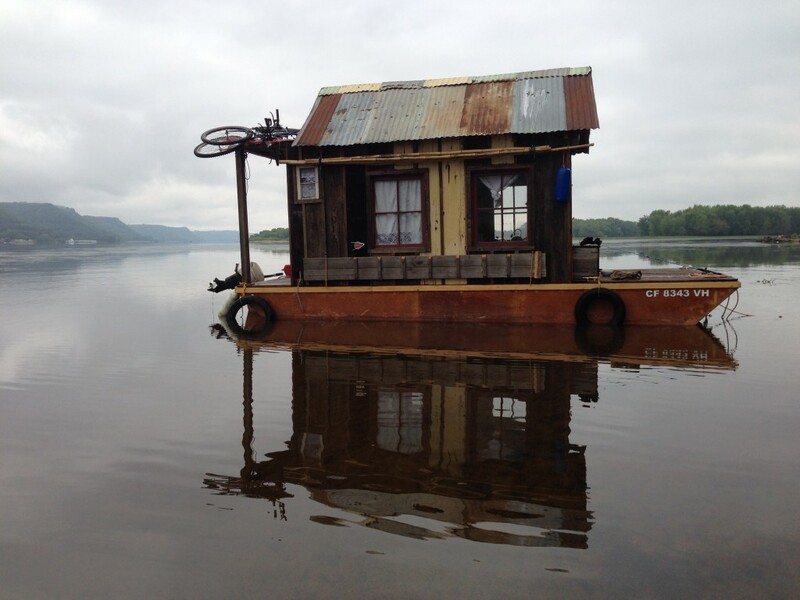 Starting in late June, the Secret History shantyboat will be back on the Upper Mississippi River for a series of exhibitions and an entire summer of fieldwork gathering river stories. On the weekend of June 27th, we will be working with our friends at Works Progress as part of an all day river flotilla. On Tuesday June 30th, the Secret History shantyboat will be at the Minnesota History Center in St. Paul for Nine Nights of Music. The next day July 1st, the shantyboat will be at the St Paul Yacht Club as part of a River City Revue event. A good bit of fun to start off our summer journeys. A day later, we will be traveling down to Winona, Minnesota to begin a summer of fieldwork on the river. 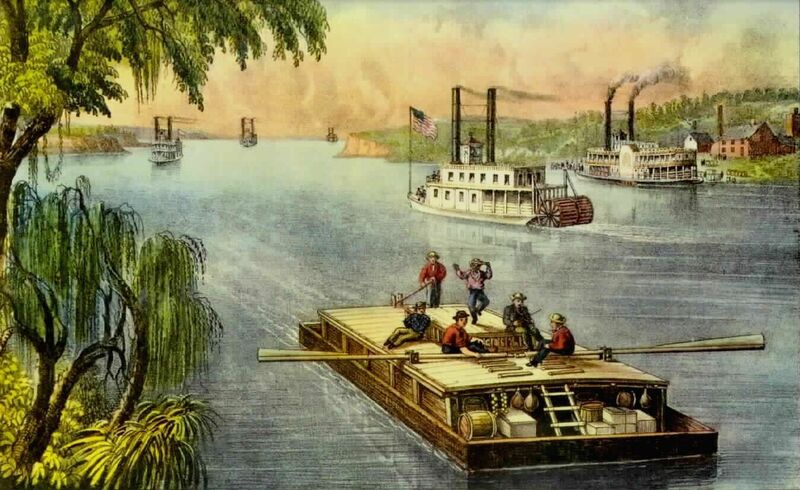 We will be traveling through La Crosse, Wisonsin, Dubuque, Iowa, the Quad Cities and beyond, talking to people who live, work and play on the river for the Secret History archive. We are readying the shantyboat now for the journey across country from California to the Upper Mississippi and making connections for those we might talk to on the river. If you have contacts in the Upper Mississippi who have river history to share, we’d like to talk to them so please drop us a note. In the summer of 2014 as an MFA student at the University of California, Wes embarked on an epic journey across country to discover, present, and connect the personal narratives of river people from the deck of the shantyboat on the Mississippi River. The project combines his experience as a sculptor and digital artist, his enduring interest in people’s history, personal narrative, and river life, and his thirst for adventure. Meeting people who work and live on the river, Wes collected a digital archive of personal histories — the lost stories of river people, river communities, and the river itself, including the personal chronicle of the artist’s adventure. Wes interviewed Upper Mississippi artists, boathouse residents, scientists, researchers, historians, business owners, and adventurers. On the journey, he used social media to share stories, photographs, and video to connect river people with those far from the river. The shantyboat serves as the primary artistic focus of the project, serving not only as the expedition vessel but the project library and archive. Visitors to the Secret History shantyboat can explore the digital archives, see excerpts of interviews, explore the library of river-related books and materials, explore the boat, and talk with the artists. Secret History is a traveling art exhibit showing at galleries and museum throughout the year. In the winter months of 2014, we returned home to the mountains of coastal California to work on the Secret History archive. With the help of others at the University of California, Wes created an open-ended and on-going interactive web documentary as well as a research archive for scholars. The first installment of A Secret History of American River People web documentary will debut this spring along with the academic archive. In early summer 2015 in conjunction with exhibitions in the region, we return with the shantyboat to the Upper Mississippi. A summer-long research voyage will start near Winona, Minnesota where the previous year’s journey left off. ← What happened to the last 5 months?